At my acupuncture practice, I often get questions from patients about what else they can be doing to help promote wellness, balance, and health throughout their lives–not just when they’re in my office. Recently, I have been getting a lot of questions about CBD oil, a non-psychoactive cannabinoid that is most prevalent in hemp and that eases anxiety, and may even help with sleep, mood, pain, appetite and immune responses. In fact, I first heard about Bluebird Botanicals, a purveyor of high-quality hemp extracts and CBD oil founded in 2012, through a patient who had been suffering from chronic anxiety. She reported that after using CBD oil for just a short amount of time, her anxiety dissipated. Intrigued by her results, I tried some myself. 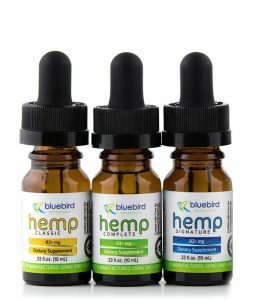 I ordered a bottle of the Hemp Classic Formula from Bluebird Botanicals and took as directed. After a few days, I found it to be subtle and grounding. After taking CBD oil I felt like myself when I’m not scattered and stressed–similiar to how I feel after a yoga class or meditation. It did NOT make me feel high at all, a worry that some may have when they encounter a product made from hemp. 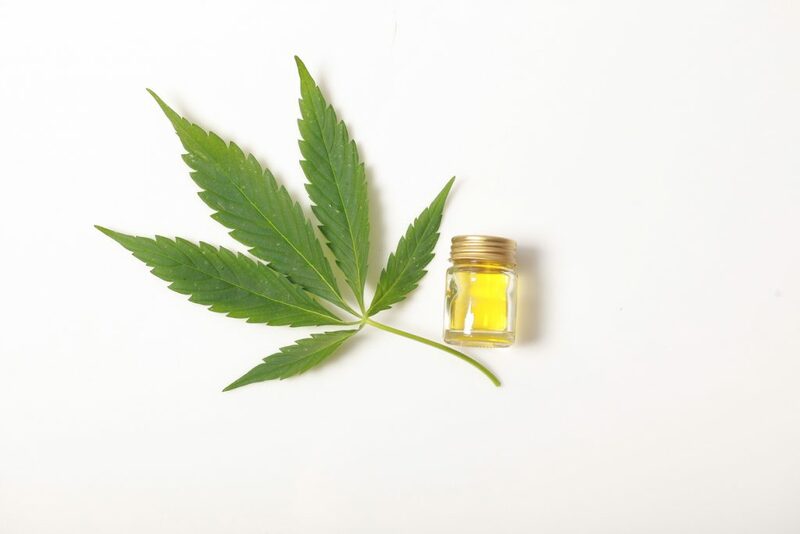 But CBD oil actually only has trace amounts of tetrahydrocannabinol (THC), the well-known psychoactive cannabinoid, according to Medical Marijuana Inc. I caught up with Michael Harinen, the Chief Brand Officer at Bluebird Botanicals, to chat with him more about CBD oil, its effects and recommended uses, and how Bluebird got started. Brandon Beatty started Bluebird Botanicals (at the time Gaia Botanicals) in 2012. His initial product line consisted of super foods like pine pollen, tea pollen, ant extract, and more. In October of 2013 he began selling Hemp/CBD Extracts after which the company began experiencing enormous growth which hasn’t stopped nor slowed. We’re now the third largest Hemp Extract company in the market and the top when it comes to quality, transparency, and customer care. What exactly is CBD? How would you explain CBD in the simplest terms? And how does it work? CBD is a non-psychoactive cannabinoid that exists in a number of plants, but is most prevalent in hemp. There are many mechanisms of action on the body when ingested that are still being researched, but the way most cannabinoids act on the body is through the endocannabinoid system or ECS. The ECS exists in all mammals (and some other animals, too!). It appears to have a regulatory effect on many other systems in the body. Although both THC and CBD are cannabinoids that exist in large amounts in cannabis plants, they are quite different. THC acts on the CB1 receptors in the endocannabinoid system. This is what gives it a psychotropic effect. Unlike THC, CBD does not strongly act on the CB1 receptors and, thus, does not have a psychotropic effect. CBD is very popular at the moment, you even see it as an “add in”option at smoothie shops, in juices, and chocolates. Why do you think it’s gaining popularity? What’s your opinion on this boom in CBD products? And what do you think about these products and their effectiveness? Cannabinoids are just beginning to be recognized as part of a healthy diet. Those who are on the cutting edge of the health and wellness movement are noticing massive impacts from CBD and hemp extracts and they’re spreading the word. We believe that it’s only going to grow in the coming decades as more research is done and the stigma surrounding cannabis is resolved. What are some of the benefits one may experience using CBD oil? 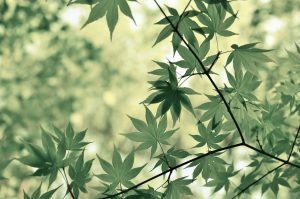 Being a manufacturer and seller of hemp extracts, our lips are tied as far as talking about specific benefits aside from maintaining general health and wellness. It doesn’t take too much digging online to come across a number of preliminary research studies and a plethora of anecdotal reports! Are there any negative side effects? And can you use too much? From what we know so far, cannabinoids seem incredibly safe for ingestion. We’ve heard back from customers a large range of effective amounts that really highlights how important self-experimentation is to find what works for any one person. It appears that “using too much” amounts to nothing more than a mild amount of lethargy. Should CBD oil be taken regularly or on an as-needed basis? Most of our customers choose to take the product regularly as the cannabinoids take time to build up in the body. What is the difference between the “Hemp Classic” “Hemp Complete” and “Hemp Signature” CBD oils? How do you recommend people choose between these 3 options? Our Hemp Classic is by far our most popular blend for people to start with as it’s the simplest — consisting of just hemp extract-based in organic, virgin hemp seed oil. Our other blends have additional ingredients that some folks might want to add to their diet. Hemp Complete has half of the hemp extract left raw which provides the acid form of cannabinoids like CBDA. It also includes a steam-distilled hemp extract which brings a high amount of terpenes into the blend. Finally, it’s based in organic, virgin olive oil instead of hemp seed oil in order to cater to those who have oxalate sensitivities. Hemp Signature contains the same extract and virgin hemp seed oil base as our classic, but with the addition of frankincense essential oil and black seed (Nigella sativa) oil. Once again, we can’t make recommendations about why someone might want to use one blend above the others, but a little time spent googling each of these additional ingredients should give you a good idea of why we put them all together in comprehensive blends. How are CBD oils processed? What are your purity standards? We start with hemp grown by our partnered farmers here in CO — organic hemp plants grown with just water and sunlight. Those plants go through an ethanol (drinking alcohol) extraction process that’s incredibly safe and brings out a wide expression of the hemp plant. We then test those extracts for purity (mycotoxins, heavy metals, pesticides, herbicides, fungicides, microbial life, and more) and potency. Once we get the all-clear from the third-party labs doing the tests, we carefully formulate and blend large batches of our final products. Those batches then go out for the same tests the extracts get. Only if a batch passes all of the standards for purity and falls within a narrow range for cannabinoid content do our customers ever receive it. The proof is on our website where all of the third party lab results are available for every batch so that the customers can rest assured that they know exactly what they’re taking. Is CBD oil safe for pregnant women? This is a question that only a medical professional can answer! If we want to learn more about CBD oil, do you recommend any particular research or resources? There are so many resources online available for the curious to peruse. Starting with a simple google search is really the best! Our website also has answers to a lot of frequently asked questions that newcomers to the industry have. Interested in trying out CBD oil yourself? You can now buy Bluebird Botanicals CBD oil at my office, or contact us to purchase! We carry the Hemp Classic, Hemp Complete, Hemp Signature and lastly a sample pack of all three blends if you aren’t sure which one to choose! This entry was posted in Herbs & Supplements, Interview and tagged anxiety relief, Bluebird Botanicals, cannabinoid, CBD, CBD oil, endocannabinoid system, health, hemp, herbs, interview, pain relief, stress, stress reducer, Supplements, wellness.